Since 2001, Miller Park has been the home of the Milwaukee Brewers. In two seasons, that name is expected to change after American Family Insurance purchased the naming rights. 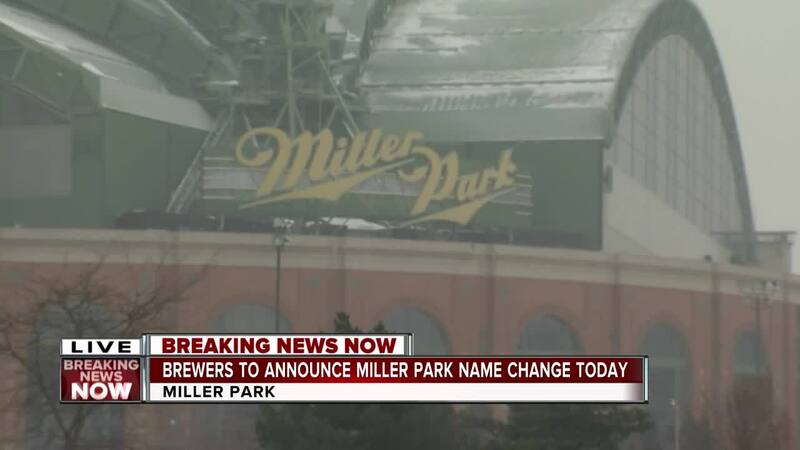 MILWAUKEE — Since 2001, Miller has owned the naming rights to the Milwaukee Brewers' stadium, Miller Park. In two years, the ballpark will have a new name, and the rights will be owned by American Family Insurance. "Twenty years ago our company stepped forward to help keep the Brewers in Brew City USA, a move that built on our longstanding relationship with the team and our commitment to Wisconsin – whether that’s at Packers and Bucks games, at Summerfest and the State Fair or in backyards and beer bars. "Late last year another Wisconsin company, American Family Insurance, proactively pitched the Brewers an incredibly rich offer for the future naming rights to Miller Park, and we’re proud to welcome American Family to the family we’ve been part of for generations. "While the name on the stadium will change after the 2020 season, we fully expect Brewers fans inside and outside the stadium will continue to celebrate every home run and every strike out with one of our beloved brands." The Brewers will have a formal news conference at 2 p.m. This story is ongoing. Check back throughout the day for updates.